Play a free puzzle game without registration now, players! Have you tried Hot Jewels yet? In this matching game, all you have to do is pretty simple; that’s, to match 3 or more gems of the same color to remove them off from the screen. The longer you play, the higher chances you can leave your name on the Leaderboard. Drag and drop for the high score! A player with the username Muscle-SS made Hot Jewels using Construct 2, an HTML5-based 2D game editor. If you want to make your very own game, don’t hesitate to visit this site for insights! This matching game was created on 21 July 2015. 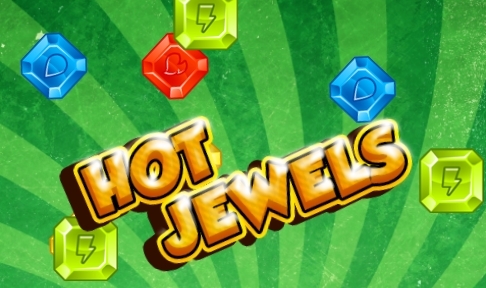 Hot Jewels is an interesting, addictive HTML5 game; this means you can play it on both desktop and mobile. Use the left mouse to drag and drop gems. Well, Hot Jewels comes with the similar gameplay as other matching-3 games yet still provides a lot of fun moments. This game is compatible with multiple browsers, like Chrome, Firefox, Safari, IE (9, 10, and 11), and Opera. Are you excited with this game? If yes, let me recommend you one or two games of the same genre that you may want to give it a go – Jelly Match 3 and Moodie Marbles.